The Taoiseach has been questioned over who will own a proposed three billion euro national broadband network. 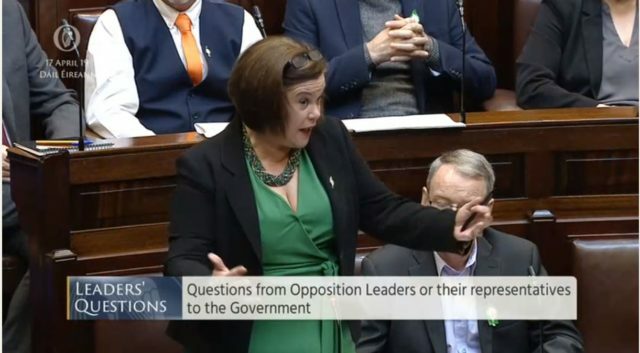 Leo Varadkar faced questions over the National Broadband Plan from both Fianna Fáil leader Micheal Martin and Sinn Féin chief Mary Lou McDonald during Leaders’ Questions in the Dáil on Wednesday. Only one bidder remains in the process for the contract to deliver high-speed broadband to more than 540,000 homes across the country. Mr Martin queried who will own the new network when it is complete. Mr Varadkar said that under the proposed contract terms the contractor is to build the network, operate the network, maintain the network and manage the network for 25 years. 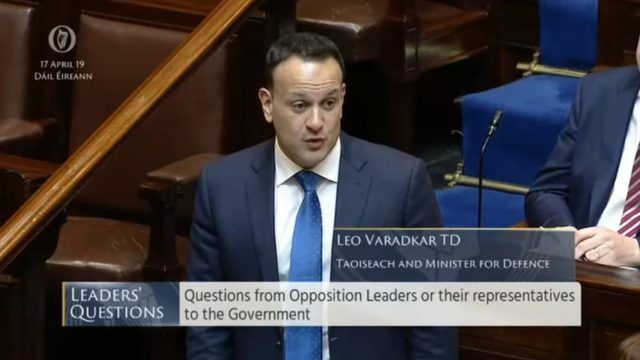 “At that point Government has the option to buy, as it is not a commercial piece of infrastructure, one would expect that to be a relatively inexpensive proposition, and at any point if the contractor fails to deliver, the Government can step in and take over,” the Taoiseach told the Dáil. The next step will be for the Government to make a decision on whether to accept a bid and designate a prepared bidder. Mr Martin responded: “For the taxpayer to be spending three billion euro and not owning or having any prospect of owning at the end is something that needs to be fully explained,” he said. Ms McDonald put it to the Taoiseach that the process surrounding the National Broadband Plan was becoming reminiscent of the “debacle” that surrounds the spiralling costs of the new National Children’s Hospital. “The aim of the National Broadband Plan has not changed, but what has changed incredibly is its cost. It’s now going to cost six times what was expected. “The overspend here could run into billions of euros, and to top it all you advise us that the infrastructure would be in the ownership of the consortium but that the state could, 25 years on, spend more public money to buy that infrastructure back. Mr Varadkar responded: “Minister (Pat) Rabbitte in 2014 gave an estimate of this project costing up to €512m specifically, that was for extending high-speed broadband to 1,100 villages in Ireland, not from there onwards to every home and business in Ireland. “But we shouldn’t forget what this is about – this programme is about extending high speed broadband to over half a million homes, farms and businesses across the country. “It is a major project, possibly the biggest investment ever in rural Ireland, possibly as important as rural electrification; it is not going to be done cheaply and it’s not going to be done quickly. “Bear in mind the amount of investment that has gone into roads in the past 20 years, €40bn, the amount of investment that has gone into water in the past 20 years, €10bn.